UPDATE: Willow TV CEO, Vijay Srinivasan, tells me that Willow is alive and well. Willow will broadcast the English summer. Updates to the site are underway. He has disputed the article. Every financial deal I have reported in this article is backed-up by either an article in a reputable news source or an official corporate release. I have simply laid it all out on one page. Perhaps reports of Willow’s death are exaggerated, but to all appearances they have been on life support since March. Willow TV was acquired by a company called Global Cricket Ventures in 2010. Earlier, there had been interest from Anil Ambani, but after that deal fell through, GCV stepped in. GCV had the rights to the Champions League T20 as well as the IPL. Add to that the World Cup rights in 2011, Willow TV seemed destined for greatness. In late 2010, an India-focused private equity firm called Elephant Capital invested $10 million in GCV for a 50% stake. The Willow TV World Cup broadcast, after some initial hiccups, was a success. They streamed the matches to browsers, IPTV devices (PS3, Roku, Wii, etc. ), iPhones, Androids and iPads everywhere and even got their own channel on satellite television. It was a great pleasure and gave US viewers a taste of a possible future where cricket was available all the time on any device of their choosing. I don’t have all the details, but here is what I know: GCV sub-licensed the IPL on-line and mobile broadcast rights from World Sports Group (WSG). Last June, the Board of Control for Cricket in India (BCCI) scrapped the agreements for global media rights with WSG. The reason? An alleged improper facilitation fee of $90 million paid by broadcast firm by Multi-Screen Media (MSM, owners of Set MAX TV Channel) to WSG. The BCCI claimed that former IPL chief Lalit Modi had struck the deal independently without prior knowledge of the board. Coup de grâce? Lalit Modi is the father-in-law of Gaurav Burman, one of the directors of Elephant Capital. So, suddenly, WSG->GCV->Willow TV was left without rights to the IPL and CLT20. This time the IPL online rights went to Indiatimes. And everything went further downhill. In March 2011, Elephant Capital decided to pull their investment out of GCV and since then all their online properties have gone silent. It appears they have no more money to run the operations. WSG went to court after being stripped of the TV rights, and it seems the court has instructed them to settle with BCCI in a civil court. The BCCI, for its part, is in no mood to do business with anyone from the Lalit Modi era. And that’s what happened to Willow TV. They were at their peak, offering a great service across a range of devices when the rug got pulled from under them. Their only crime was that they were acquired by a company who was in bed with a company who allegedly did a shady deal with Lalit Modi. Yet– hope springs eternal. If you have a working subscription, the current Pakistan tour of West Indies works just fine in a browser, though they’ve dropped IPTV device, phones and tablet support. And I did get a mysterious email from them a month ago about IPL streaming that made me very happy for a couple of weeks. But mostly, it’s a near-dead web site and a service on life support. 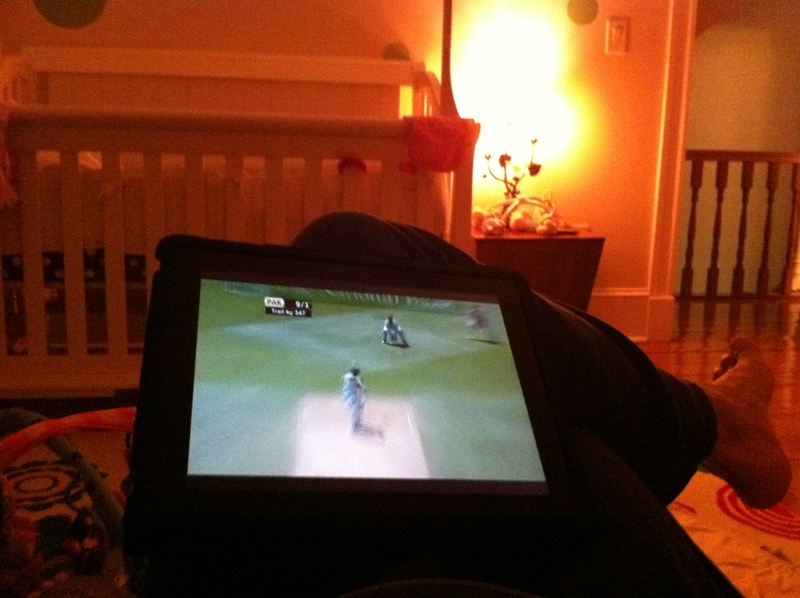 Indiatimes streams IPL in the US with a three hour delay. A three hour delay for an IPL game. I have no words. For a few weeks in 2011, Willow TV showed us a glimpse of a possible tomorrow. Cricket available where you want it, when you want it. I miss it already. Excellent compilation, DBP. Thanks for this. Sometimes I wonder why businessmen in India bother at all — it seems there are so many factors unrelated to a company’s product and worth that will decide its fate (i.e., bureaucratic tussles, corruption, etc.). @duckingbeamers I agree. And it looks like ESPN is trying to enter the US Internet-streaming market, which makes things even harder for Willow. Willow is working pretty well from Canada for the England – Sri Lanka series. Rather more “Stream Not Found” than there used to be but still watchable. The worst part of it is the excessive advertising during the game – between every over and on screen advertising during the play. Perhaps Indian audiences are used to this but having previously being able to watch Sky Sports own productions, it is very tiresome, specially since most of the commercials are not in English. The flow of the broadcast is totally disrupted. Do not expect this when paying around $15 per month or a subscription. Unrelated to WillowTV, the scrapping of IPL global rights was the reason why there was no broadcast of games in Australia. The rights owner is being sued by BCCI which meant that the broadcaster ONE Digital chose not to even bother with the IPL. This is after couple of years of decent to good coverage even with the timing of the games not quite working out. I subscribed to Willow TV in 2011 and had a good experience watching it. I entered a monthly subscription deal with them (without knowing that it has to be continued for 3 months at least and has a cancellation fee of $5) but still not unhappy with what I get to stream. However, I am horrified already reading about their poor customer service and non-responsiveness on cancellation requests.